Microsoft this week unveiled a new interactive art installation called the Microsoft Cube which has been created using the companies Kinect promotion gesture controller. The Microsoft Cube measures 4 feet square and is a 5 sided installation that allows passers-by to interact with it. 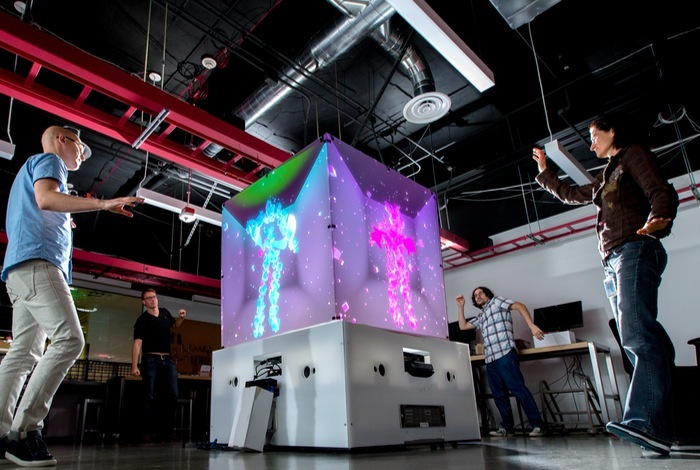 Watch the video after the jump to learn more about the Kinect Cube project and see it in action. “Participants stand in front of the giant structure and the Cube reacts, pulsating to music and tracing the movements of those around it. The Kinects can read up to three people on each side, and you can see others through the Cube, which acts as a portal, virtually connecting people who are separated in physical space. For more information on the new Microsoft Cube jump over to the official Microsoft Blog website for details.